Like people, plants cannot exist without water, so make sure your tomato plants have enough to drink. 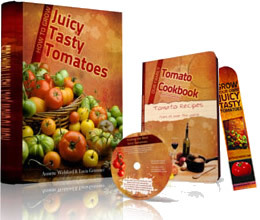 Food is important too, and can boost your tomato crop. But with both food and drink, balance is key. 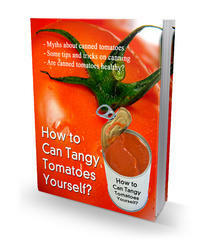 sunny conditions, a typical tomato plant needs about 3/4 quart (11/2 pints) of water per day. This varies greatly, depending on the type and state of the soil or mix and how well it drains, the stage of growth of the plant, and the weather. Container-grown plants need plenty of water because their roots cannot spread far. Feel the soil below the surface with your finger to see if it needs water. Water with care Roots need a moist, but not wet, growing medium. Soggy soils can be low in oxygen levels, leading to root death. Split skin Irregular watering may lead to fruit splitting (pp118-119). Excessive watering may also produce large but tasteless fruits. Plants grown in open, well-nourished soil usually yield a good tomato crop without additional feeding. For the best crop from plants in pots or growing bags, feed them regularly after the first truss of fruit has set. Nitrogen (N), phosphorus (P), potassium (K), and calcium (Ca) are the most important minerals in tomato fertilizer. steep for a month, then strain the liquid and use well diluted in water. 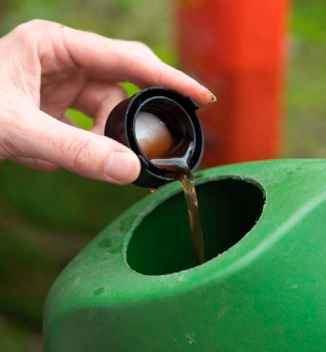 You could also use the liquid by-product from a wormery. Too much fertilizer can be harmful to plants, so always follow the manufacturer's recommended dosages. Overfed plants may make excessive, soft growth, which will be vulnerable to disease and may delay flowering. A build-up of chemical salts in soil can also damage root growth. Never use lawn fertilizer on tomatoes: this is high in nitrogen, which will encourage lots of leafy growth rather than fruits. Specifically formulated fertilizer for tomatoes will ensure that your plants receive the right balance of nutrients.